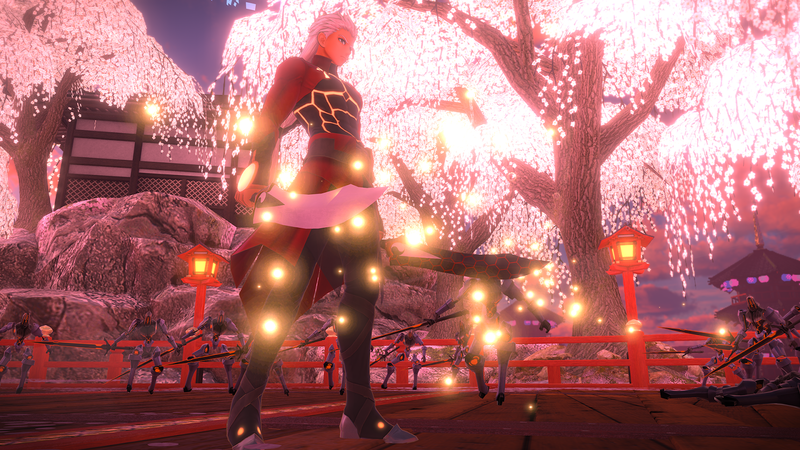 Fans of the Fate/ series or just those that like the action / brawler style of 'Warriors' games should find a great deal to like here as this mashup of the two works really, really well. 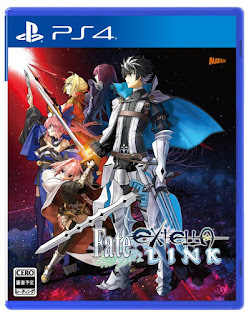 I enjoyed Fate/Extella came around, and Fate/Extella Link does everything the original did only better. Chris got me hooked on the Fate/ franchise about a year or so ago now, starting with the mobile Grand Order game. I then watched several of the anime series and then went back and played Fate/Extella and thoroughly enjoyed it. Initially, I did not know fully what Fate/Extella Link was supposed to be - was it just an update on the original game or a sequel? The good news is, it is a proper sequel picking up shortly after the events of the first game (there were even a few costume unlocks I got right out of the gates for having save data from the original game), but with a roster of expanded characters (including Scathach, one of my favorite characters from Grand Order!) as well as the returning ones from the last game. The Fate/ franchise has storylines that are loosely connected and yet can be a bit dense and hard to follow (because anime), but at the same time, I have always found the premise interesting and many of the characters to be charming and worth getting to know. 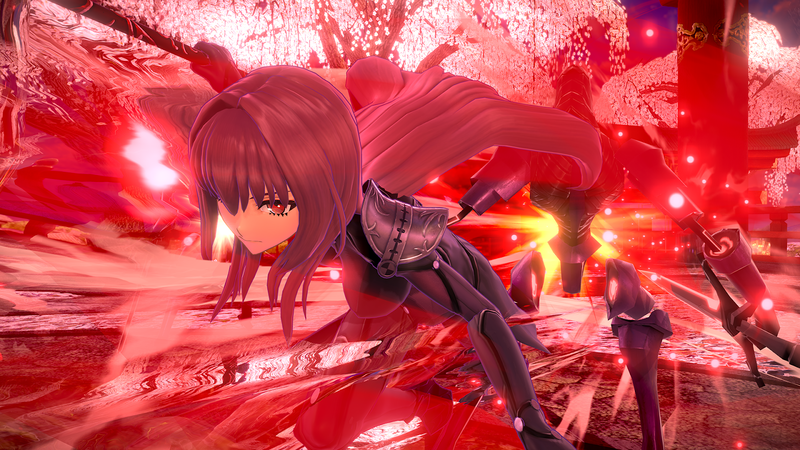 This is one of the foundational pieces of Fate/Extella Link, as a big portion of the game is raising your bond with your favorite servants and unlocking new costumes, abilities and conversation opportunities while using them in combat and completing side quests for them. The side quests generally amount to killing so many guys or taking so many areas in a specific way or period of time and adds a bit of pressure to the already existing stage objectives. The combat is the familiar Warriors / musou style of gameplay that relies heavily on a single character taking on hordes of enemies that by and large present little to no challenge in and of themselves. The masses of enemies are generally one or two hit variety that are only dangerous when they swarm you, but otherwise serve as a means to build up to something more - such as releasing more powerful 'aggressor' enemies that can take a punch and deliver a bit more damage themselves. Beyond them however are more notable enemies - generally servants - which are similar in structure to the primary servant you go into battle with. Sometimes these are straight-up fights and other times there are layers to it, such as when one character is being charged up by another somewhere else. This can cause you to decide if you want to take up the more powerful character head-on, or circumvent them to take out their 'battery pack' as it were. 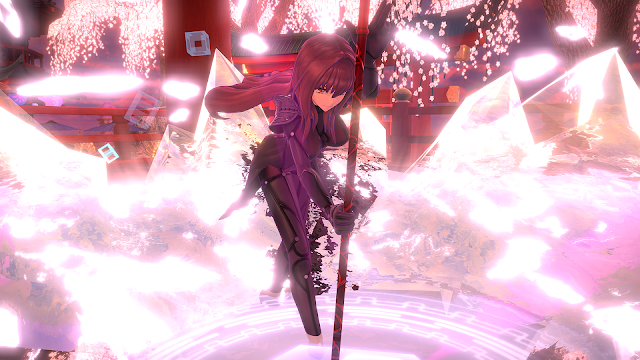 There are a few different ways of powering up your own servants during combat. Having another servant nearby can create a 'link' that does additional boosting, your equipment comes equipped with a handful of limited use abilities such as healing or damage boosts, there is a 'drive' ability that ramps up all of your stats and can be boosted by killing enemies or finding consumables on the battlefield to raise it, and while in drive mode you can collect golden orbs that allow you to unleash your Noble Phantasm - basically a massively damaging, incredibly flashy area attack and stands as the game's ultimate moves. So combat has a nice sense of structure and progression as you move about areas within a stage, taking on waves of enemies and trying to complete objectives as they come at you. There is a nice feeling that your servant, while the head of the attack, is part of a greater force that is working its way through the stages. The combat is certainly fun, with a brawler-like one-against-many approach that I personally enjoy, though by the game's late stages, it can feel a bit grindy and repetitive. 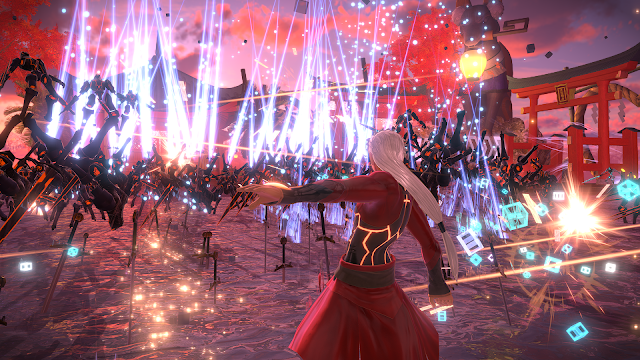 I am a grinder in my games, so it doesn't bother me at all, but if you hate the musou style Warriors titles, odds are that Fate/Extella Link will not turn you around on them. 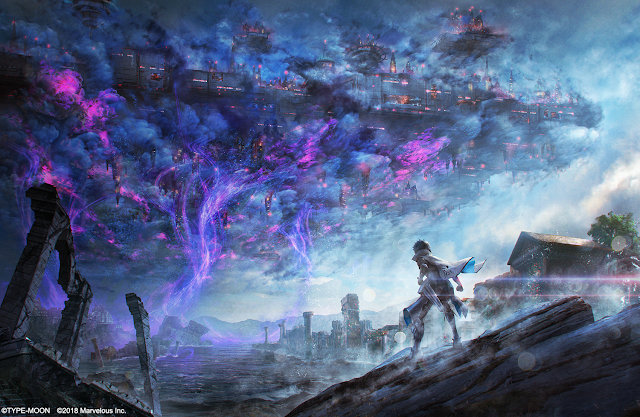 There are some solid RPG elements that add a nice sense of progression to the game as well. 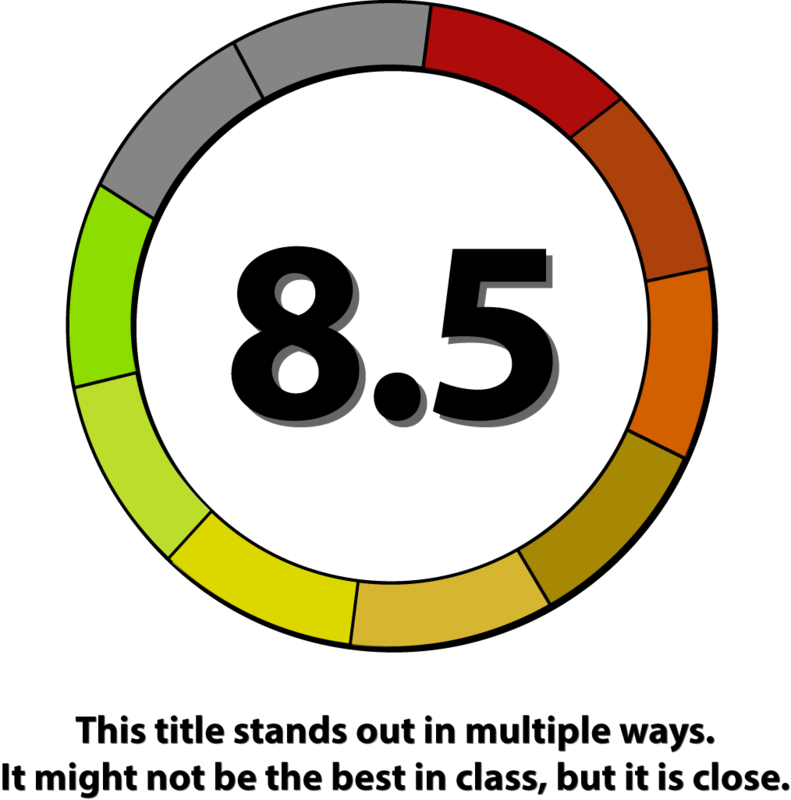 Your characters earn experience, which leads to higher levels, which lends itself to better stats. As you complete tasks and take out major enemies, skills will drop onto the battlefield that allow you to add some passive bonuses to your characters. You can unlock new recipes for equipment that you can build with material drops. Your character will earn new active skills as they gain levels as well. Along the way you will earn new servants as well and start to figure out who your favorites are. For those familiar with Fate/Extella, the core gameplay here and progression hooks are largely similar. A bit more depth was added to the active skills, with a greater emphasis on classes. The Link element that connects you to a nearby comrade is different as well, and rush attacks are handled quite differently (and occur far less frequently). There is also now a 4 against 4 online multiplayer mode that admittedly feels a bit shallow compared to the actual core game, but is a nice feature that actually makes the most use of the Link system. Also, in the first game the 'master' character was in a ring on the servant's hand - essentially making them a passive but non-corporeal aspect of the gameplay. Now the master is on the battlefield and has to be protected, which adds an additional layer of strategy to the risk versus reward of attacking and defending - especially on higher levels of difficulty. There is a lot of talking in the game (well, text to be more accurate - unfortunately despite most of the anime being dubbed, this game is only English subbed with Japanese voice acting, which was a bit of a bummer), but not quite to visual novel levels. Still, if you don't care about the stories or characters, odds are you will be skipping through it all to get to the combat bits. As a fan of the franchise however, I enjoyed the dialog. The overall presentation is a good one, despite the lack of English voice acting. The music fits and is appropriately driving to match the action. Visually Fate/Extella Link is a notable upgrade over its predecessor. The narrative takes place in a sort of digital world, and the first game had a very blue / Tron / grid / VR feel to it that was kind of nice at first but quickly became bland and overused. Here there is a lot more texture in Link, with notable locations that are more fully fleshed out with flowing fountains, castle walls and the like. There are still areas that are pixelated and intentionally 'glitchy' looking, there are still parts of stages with the block-like computer rendering, but there is so much more variety that Link is undoubtedly far more interesting to look at.